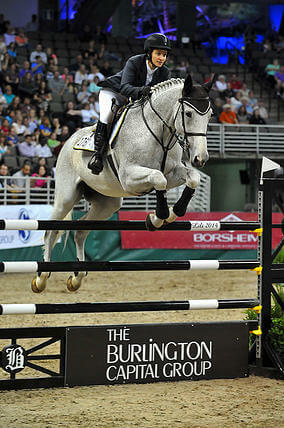 The International Omaha is a world-class indoor horse jumping competition featuring the highest level of international riders. On April 9, 10 and 11 it will be returning to the CenturyLink Center. This year the event is promoting a renewed focus on attracting families. In doing so, they have included a discounted family ticket package, more activities in the Horse Expo, and Dressage. Dressage which is competitive and skilled horse dancing, will take place at 5:00 p.m. on Thursday evening and 9:00 a.m. on Friday and Saturday. The free to the public daylong horse expos start at 9:00 a.m. on April 10 and 11. The expos will feature interactive displays and activities, the chance to meet eight different breeds of horses, along with hands-on exhibits designed to educate and entertain. The jumping competition, the main event during this horse show, will be held at 7:00 p.m. on Friday and Saturday. If you have a love for the majestic creatures, no matter your age, step into their world for a weekend of fun, exciting, competitive and educational learning.